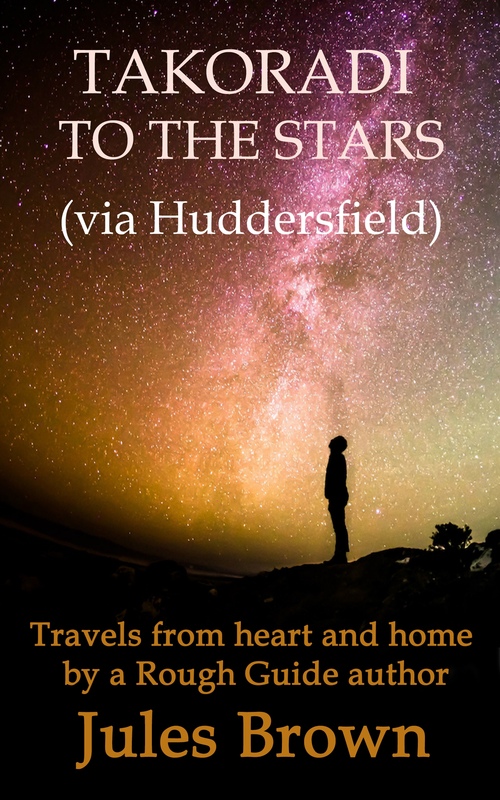 I am thrilled to say that my new ebook has been published!It’s been a long time coming (thirty years in fact…), but my travel-writing days are now in print and will, I hope, inspire you to take a first step on whatever journey you choose in life. And if it makes you laugh along the way too, that’s great too. I wrestled with the content, spent hours on the title, agonised over the cover, but in the end it’s all I had hoped for and more. So now, over to you (and all your friends, and your friends’ friends) to tell me what you think. You get to read the first 10 percent or so for free on Amazon, so please – dip in and enjoy! (Outside the UK, you may have to search for the title on your home Amazon page). I’d love to hear your thoughts, both here and in the Reviews section on Amazon, and if you share the link with just one extra person that would be a real kindness. I hope you enjoy it – it was certainly fun to write. Now I await with bated breath to hear what the world thinks about Takoradi, Huddersfield and all points between! Absolutely loved this, Jules. The stories are all really entertaining with a sense of the absurd but also of treading lightly as you go. Also liked the undercurrent of travelling far and wide to understand where – and who – you’ve come from.